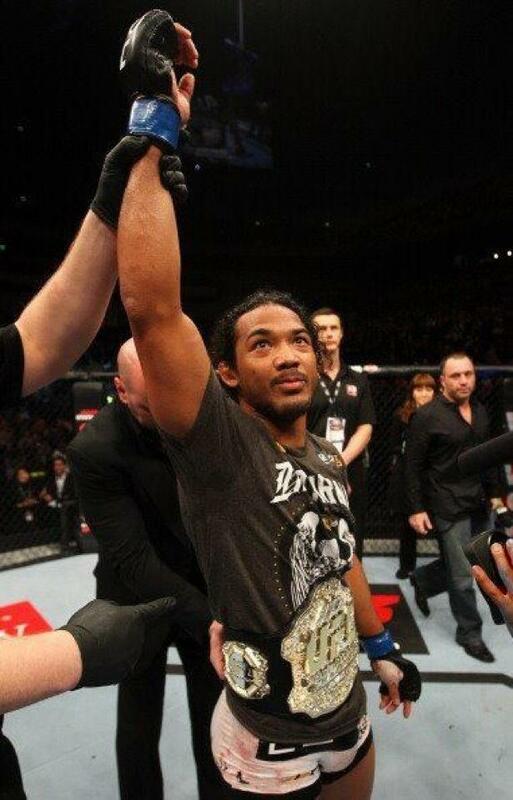 On February 25, at UFC 144, Ben Henderson captured the UFC Lightweight Belt as he dominated Frankie Edgar in a 5 round, fight of the night performance. Ben showed how far he has come in his game as battled the gutsy ex champ on his feet. Cardio and heart have always been strong points for Frankie, but Ben was his match in both of these categories. We are so proud of Benson and all the hard work he has put into achieving his dream of becoming UFC champion. Thanks for the journey so far Ben, and we are all ready for the rest of this fantastic ride. Tonight at RITC 157, Kelley Oser finished his sixth opponent in a row, this one by first round TKO. All of Kelley’s victories have come by either submission, knockout or TKO, making him a dynamic and exciting fighter to watch. We are so proud of Kelley and his great effort and know that he has great things ahead of him in this sport. Follow Kelley on twitter: @K_O__ and on Facebook: www.facebook.com/kelley.oser . Great work Kelley! The team is headed to Japan tomorrow for UFC 144 and the showdown for the lightweight belt with Frankie Edgar. This has been a good camp, and the team is ready to go. To put you in the mood, here is an awesome short highlight video of the future champion of the world……Smooth Ben Henderson! 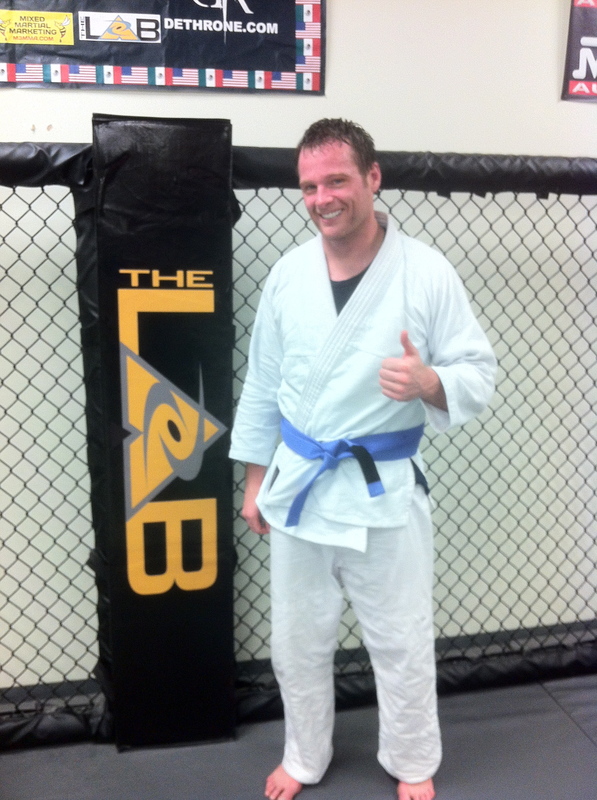 We have been a little slow to post this, but last week Darren Hall was promoted to blue belt! Darren has been one of the very tough guys at the Lab for a long time, but he trained only in the no gi classes. We finally talked him into putting on a gi, and , surprise, he is a monster in his gi too! Darren is about to finish up his medical school and just got married, so life for this young man is looking very promising! We just feel very lucky to have him around….Congratulations Darren!